ISCTokyo (Interactive Service Company Tokyo) was established in Nihonbashi in 2013, and newly started as regal entity of ISCTokyo Ltd. on August 21, 2014. To make the best use of the 20 years experiences in the certification body in the past, and to contribute to the problem solution and the continuous improvement of the corporate, ISCTokyo provides the services such as “Second party audit”, “Independent management audit”, besides “ISO management system third party audit". 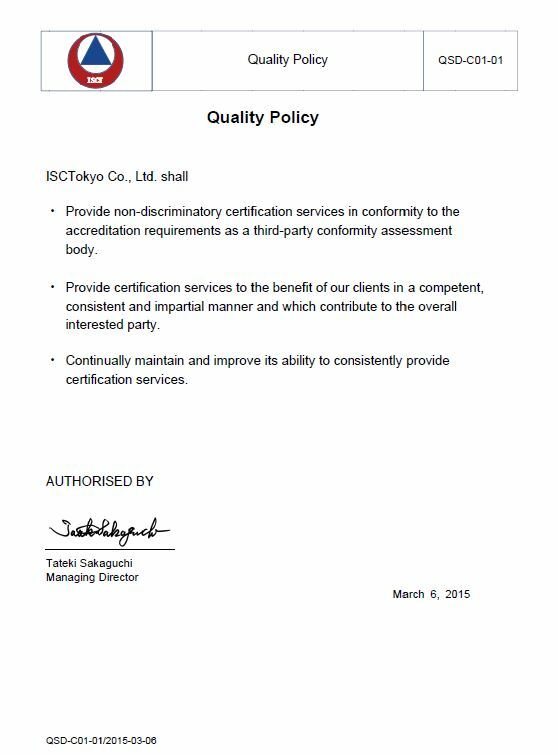 ISCTokyo is an independent certification body that accredited directly by accreditation body of JAS-ANZ (Joint Accreditation System of Australia and New Zealand) in Australia as for the ability, consistency, and the fairness of the audit provides. It is a certification body for which the auditor who has considerable audit experience, and has both the audit competence and customer satisfaction provides through the audit service. Therefore, the auditor takes in charge of audit who thought about useful for corporate management and about the value adding findings at first. 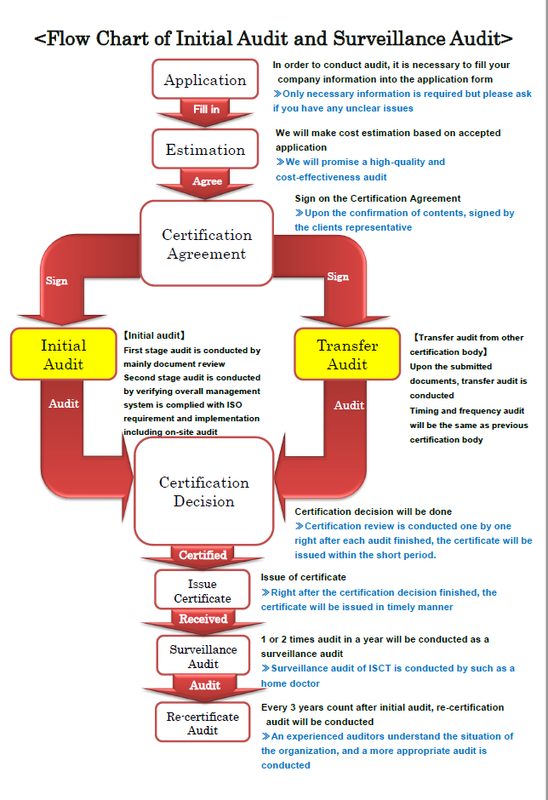 Flow Chart of Initial Audit and Surveillance Audit ISCTokyo is the certification body which intends to be selected because of the quality of audit, service and cost effectiveness. Registered as Legal Entity ISCTokyo Co.,Ltd. Registered as Legal Entity PT. 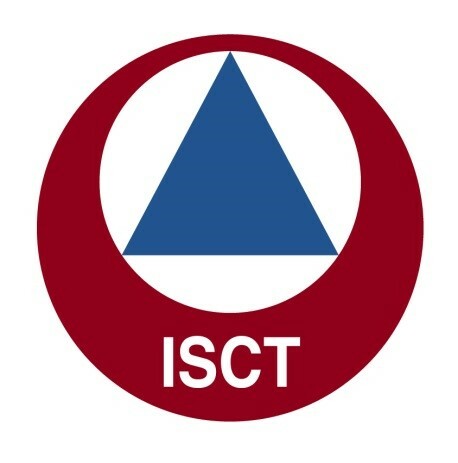 ISCT Group Indonesia in Jakarta. Copyright (c) ISC TOKYO Co., Ltd. All Rights Reserved.